Bold, vibrant, yet sensitive describe the Romantic Realist paintings of “Canada’s First lady of Wildlife Art”, Christine Marshall. 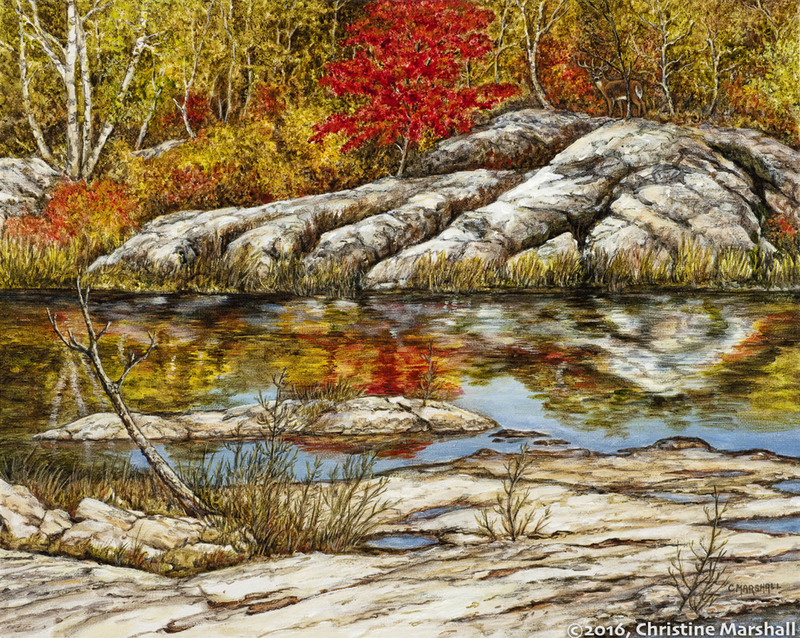 Christine creates breathtaking original paintings with acrylic on canvas with immense detail, with exceptional artistry and emotion. Very few painters of wildlife have brought to the field a fresher approach to painting animals than Christine Marshall. “I strive to make the animal appear so real that the viewer can almost sense its thoughts, so natural and convincing that the observer is tempted to reach out and try to touch it”. Firsthand research for her paintings has taken Christine throughout the world. Born in London, England in 1946, Christine displayed an interest in art from an early age. Her father, John Flaxman, an artist and distant relative of the first artist engaged by the famous British potter, Josiah Wedgwood, guided her in her initial attempts in drawing and painting. Christine achieved her Fine Arts Degree from York University, Toronto, and applied her interests in the Arts during her 15 years of teaching. A lifetime supporter of charity groups throughout Canada, Christine Marshall has made tremendous contributions through donations of her work to organizations that support conservation, children’s health and community service. Christine Marshall’s Limited Edition prints are highly prized by collectors. For a more complete background on the life and art of Christine Marshall and her Studio/ Gallery near the shores of Georgian Bay, Ontario.